Investor crowdfunding was the theme at a Fintech Mundi breakfast in Oslo last month with Finland’s Invesdor laying out its plans to build an equity crowdfunding platform for Norway. Reactions to the company’s plans at the breakfast were positive. 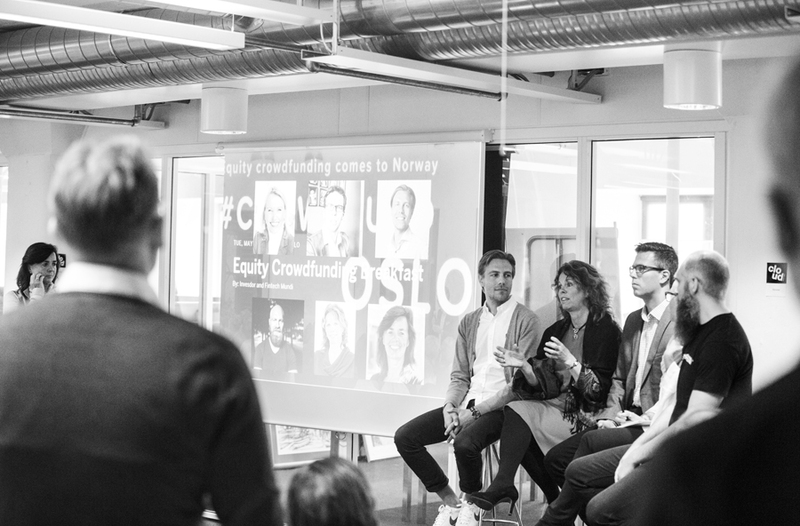 Anne Worsøe of product design consultancy Bakken & Bæck commented that equity crowdfunding provides opportunities for private investors and savers to invest in technology companies that they would not previously have had access to. While the securitized nature of crowdfunded investing also helps mitigate some of the risks of investing in start-up technology businesses. To date Invesdor’s automated platform has completed 57 funding rounds, raising a combined NOK 140 million (around €15 million). Lasse Mäkelä, the company’s CEO, explained that the advantage of using Invesdor’s platform that beyond the opportunity to distribute risk by investing collectively, platform investors are able to share their knowledge about individual companies and their management teams or entrepreneur owners. The same is true for the companies that are looking to raise capital. Besides opening up a new, viable channel for funding at comparable market rates, investors can provide useful insights to the companies on the platform and act as valuable promoters – “what could be better than having more than 300 investors talking about your company?” remarked Mr Mäkelä. The breakfast panel was moderated by Fintech Mundi CEO, Susanne Hannestad and included contributions from Axel Sjøstedt, CEO of Cloud Insurance (a Norwegian crowdfunding platform for the insurance market), Marius Kristiansen, CEO of Bad Norwegian and Anne Taran Tjølsen, of BDO in addition to Anne Worsøe and Lasse Mäkelä. Details of Fintech Mundi’s next event will be announced shortly.